We departed for the east coastal town of Nirvalli close to the port of Trincomalee commonly known as Trinco. On the way we visited Minintale the first place Buddhism was brought to Sri Lanka. 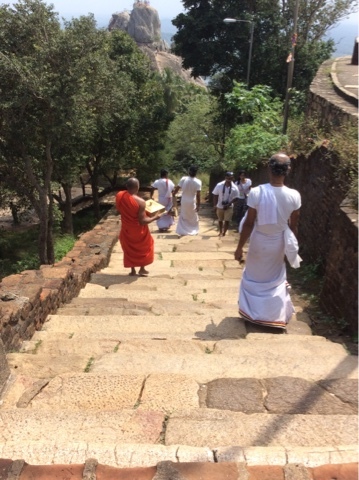 A steep staircase leads to the sacred precinct. We encountered many monkeys seated on the wall munching on seeds that had fallen from above, reaching the top a path branches off to the steep Sila Rock which for some people would be difficult to climb, due to the lack of footholds carved in the rock, and the narrow gap in the rock where you have to manoeuvre past others ascending. The view from the top is certainly worth the effort. The beautiful Stupa we climbed to situated opposite Sila Rock is another example of why the faithful have been drawn to this place. 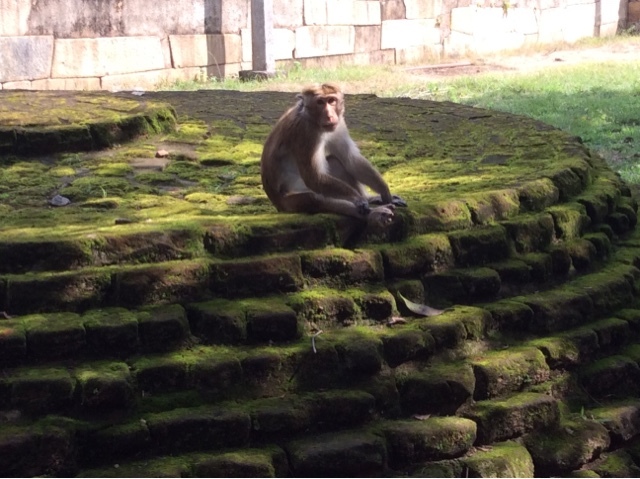 We were fortunate to witness a daily prayer and offering by the monks who played their traditional instruments surrounded by families of monkeys all trying to pick up some tasty treats. 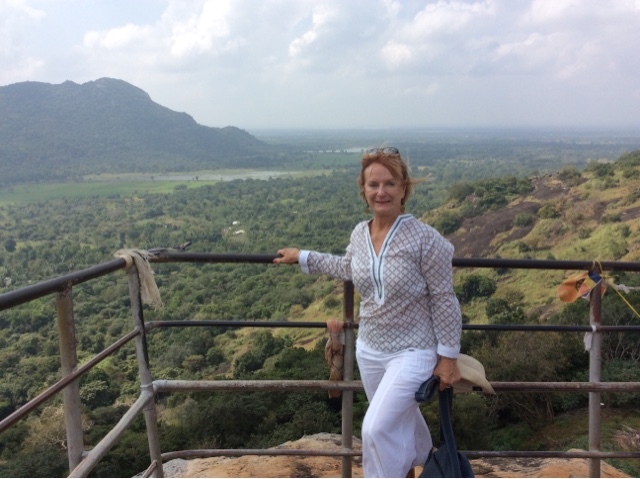 Later in the day we arrived at our hotel in Nilaveli situated on the shores of the east side of Sri Lanka. Nilavelli has some of the most beautiful beaches stretching out along the coast, and situated one Klm from the coastline is Pigeon Island where we will visit tomorrow. Time for a swim in the crystal clear ocean, an ale at the famous Fernandos cafe which is conveniently situated next to our hotel, and has the most comprehensive mouth watering menu. 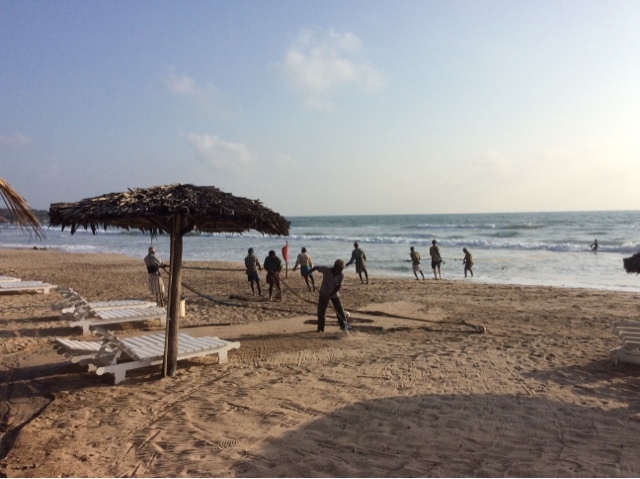 Here we sat and watched the locals hauling in the fishing nets filled with their catch of the day.